Mayor of Ennis Cllr Ann Norton cuts the tape at the official opening of the new Ennis Market. 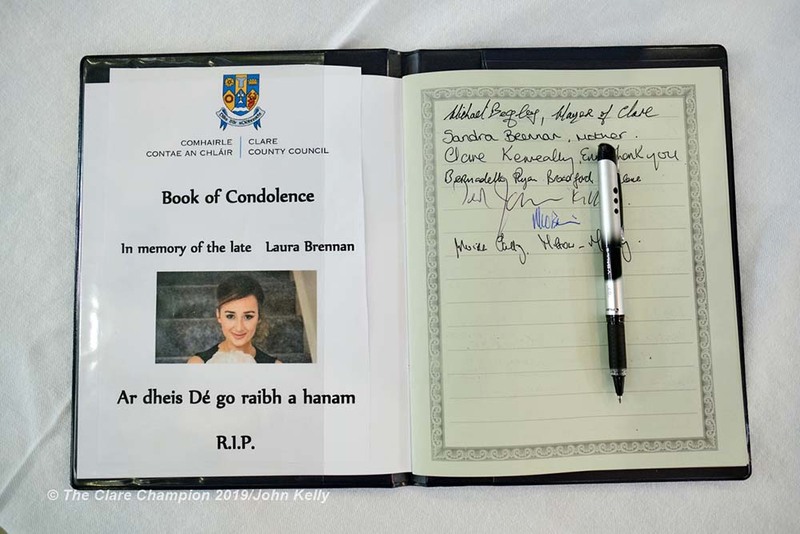 With her are; Gobnait Kelly, Trader, Clare County Council CEO Pat Dowling, Mayor of Clare Bill Chambers and Ennis Chamber President Jean Mc Cabe. Photograph by John Kelly. 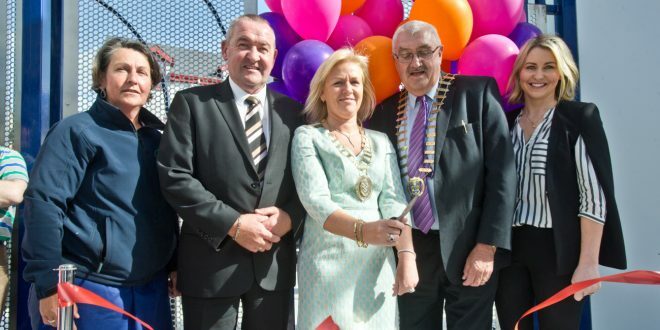 Mayor of Ennis, Councillor Ann Norton cut the tape today to officially open the new €1.75 million covered building for market traders in Ennis town centre. 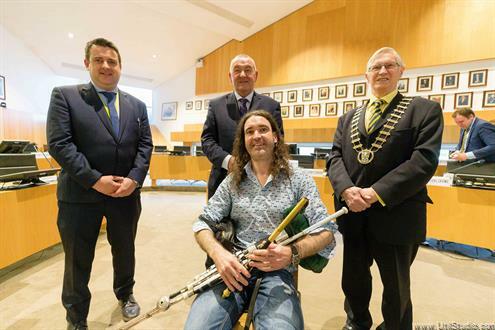 Councillor Norton completed the formalities in the presence of Clare County Council, CEO, Past Dowling; Mayor of Clare, Councillor Bill Chambers; President of Ennis Chamberof Commerce, Jean McCabe and street trader, Gobnait Kelly. The ceremony marked the completion of phase one of the redevelopment of the market at Garraunakilla, the site of the Farmers’ Market. “In developing this project, Clare County Council, supported by the elected members, local business community and market traders, has identified the importance of maintaining the town’s market heritage and enhancing the central market area for the benefit of the thousands of people who pass through it each week,” she added. Other works completed under phase one of the Market Rejuvenation Project include the upgrading of public infrastructure surrounding the site, including parking, roads and footpaths, the upgrading of existing public roadways, site lighting, street furniture, the demolition of the existing structures and landscaping and planting.